Klevorn, 57, joined Ford in 1983 on the telecom team. DETROIT -- As part of the management shakeup at Ford Motor Co., Marcy Klevorn was named executive vice president and president of mobility for the automaker, filling in for James Hackett who just became CEO. Klevorn, 57, joined Ford in 1983 on the telecom team, and her first project was putting together an internal phone system that allowed workers to call each other with five-digit numbers. 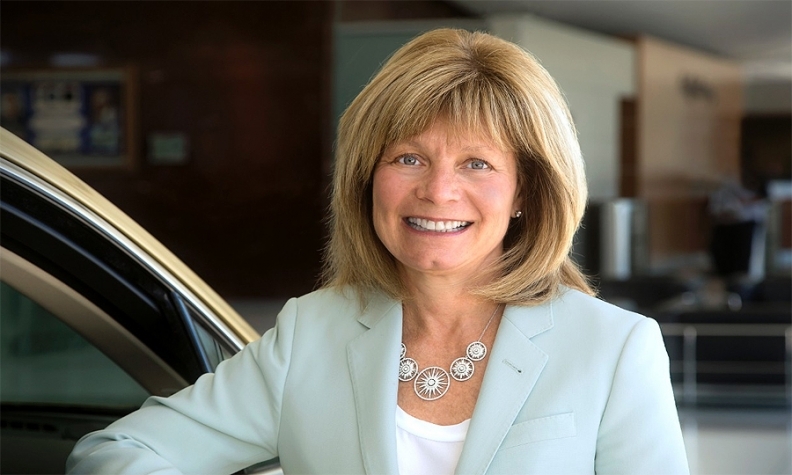 Klevorn, who has been named to the Automotive News list of 100 Leading Women twice, in 2010 and 2015, has spent her entire career at Ford working in IT. Before this recent change, which takes effect June 1, she was chief information officer and group vice president of information technology. As head of mobility, Klevorn will be in charge of Ford’s Smart Mobility group, which focuses on on-demand services and other future technology business models. “In our quest to become a mobility and technology company, we’re thinking very seriously about ... our role in society, mobility trends, what’s going on in cities, and how we can help see these come together to improve people’s lives, which is our mission,” Klevorn told Fast Company in April. Klevorn started her career at AT&T/Michigan Bell, and first passed up an opportunity to move to Ford because she didn’t see many women working at the automaker. “It’s important that companies have visible role models for young women to see that it’s something they can do,” she told Automotive News in 2015. Klevorn has been outspoken in her opinion that tech companies need more female leaders. As part of the Smart Mobility group, Ford last year acquired Chariot, a Silicon Valley-based on-demand shuttle service that has since expanded to Texas and will grow to eight global cities this year. Ford also invested heavily in a bicycle-sharing service and is collaborating with a group of mayors to help solve urban congestion problems. Ford has also announced plans to launch a high-volume autonomous vehicle for fleet use by 2021.